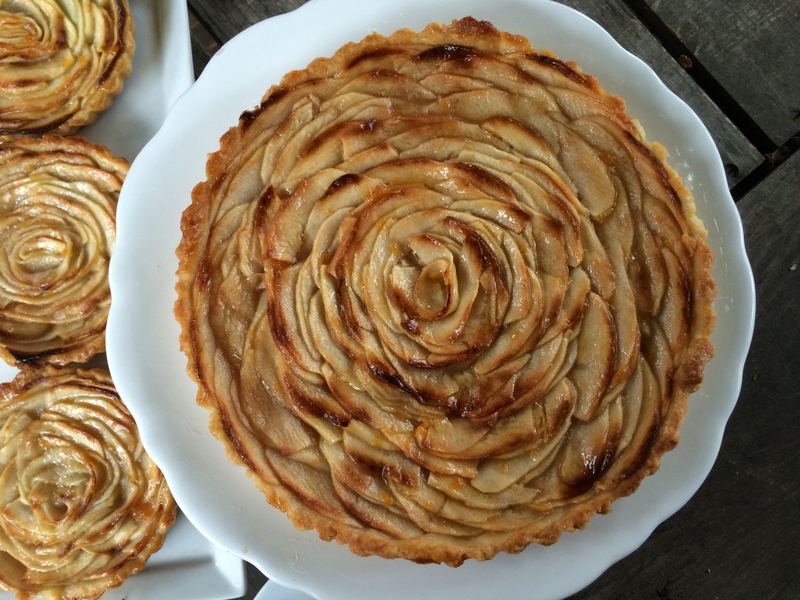 I used Ina Garten’s recipe and followed it pretty truly. 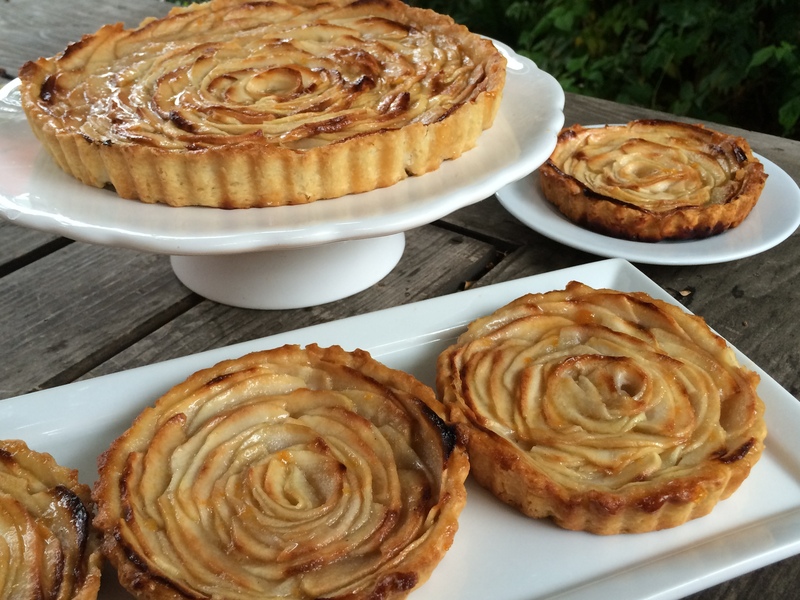 I had tons of apple and I prefer a thinner crust, so I made a batch and a half of dough and ended up with one full-sized tart and three adorable mini tarts. 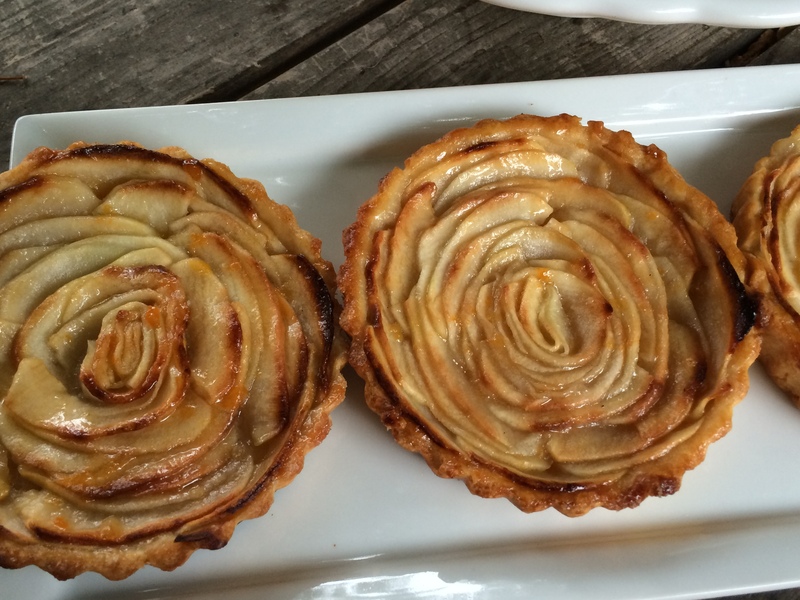 I love these tartelettes because they’re flavorful and bright without being too sweet. 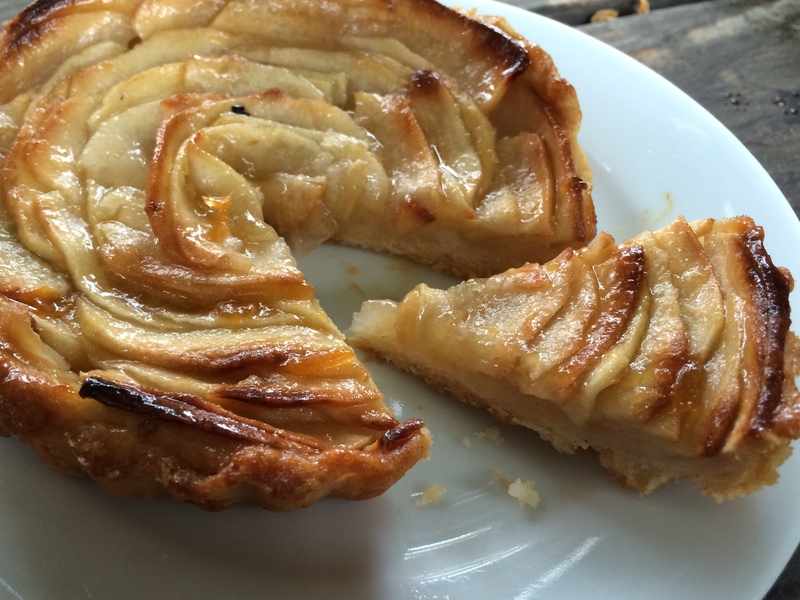 Use any mixture of firm, crisp apples. 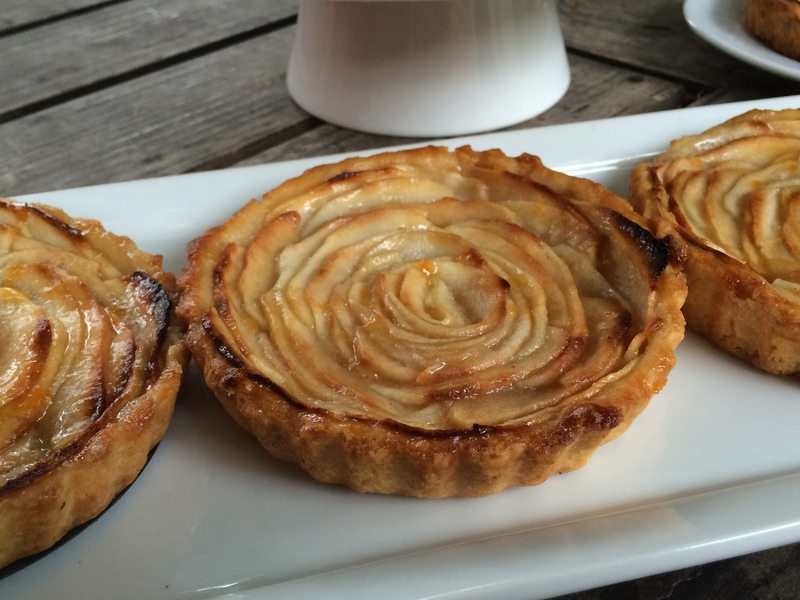 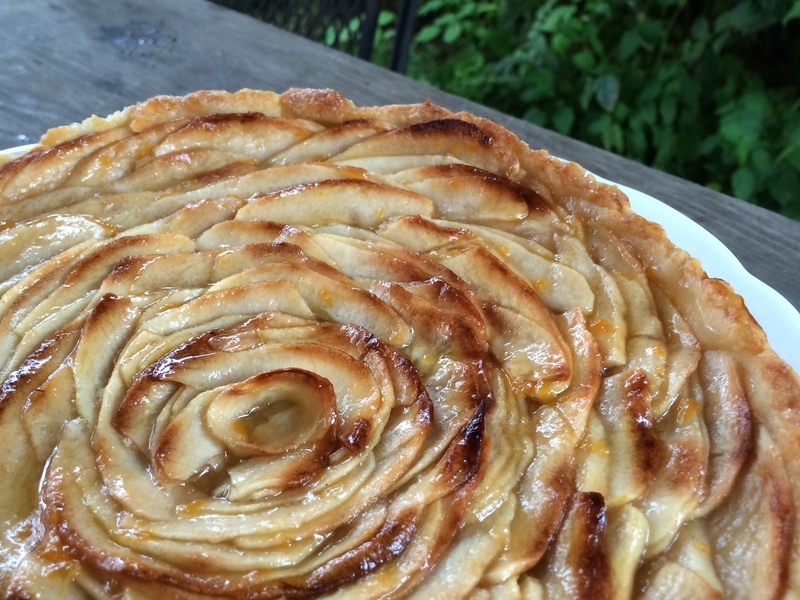 Granny Smuth, Honeycrisp, Gala, and Fuji would all work beautifully in this tart. 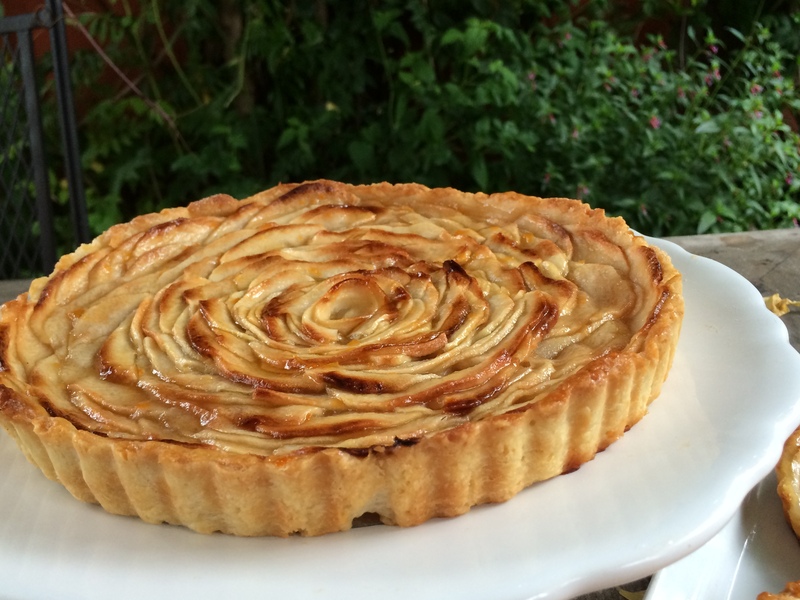 The apricot glaze on top gives the apple tarts a beautiful shine and keeps the apples moist and juicy.